It asked volunteers to contact the listed Senators, all of whom voted “no”, and send them a simple message like the one provided. For what it is worth, my response is below. If you haven’t, please take the time to click the link and contact the dozen or so misled senators. 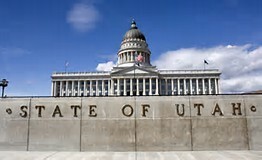 I read with disappointment that the Utah Senate defeated HJR 3, which called for an Article V Convention of the States to propose Amendments to our beloved Constitution. Should the matter arise in the next session, I respectfully ask you to reconsider your disapproval. Central to the opposition’s argument is fear of a so-called runaway convention, in which delegates from the attending states will sell out American sovereignty and freedom in favor of one-world government. For this to happen, progressive bomb-throwing rogues and miscreants with plenary power must dominate the convention. Would Utah send such people? Not a chance. How many other states do you believe will do so? I’ve read two statutes regarding delegates’ commissions. The Indiana and Florida laws that govern their delegates point to just the opposite of the fear stoked by Article V opponents. A delegate going outside of his or her instructions constitutes a felony. The convention will be open to the public, and be carried live across numerous platforms. The improbable commissioner who wanders in the early afternoon will be pulled before cocktail hour. For more than a year, I have countered the runaway convention claim and much more at ArticleVBlog.com. If you wish to view a reasoned discussion and analysis of why an Article V convention is so necessary and far less dangerous than keeping the status quo, I ask you or your staff to check out at least two series of blog posts in which I counter Publius Huldah and the John Birch Society. You will find that their shared and endlessly repeated version of early American history is incorrect and misleading. Beginning on October 29th of last year is the first of eight posts in which I dissect a forty-five-minute speech by Ms. Huldah. On May 22nd 2016 I examined a few positions of the John Birch Society here. We are the many; our oppressors are the few. Now, it is our turn. Be proactive. Be a Re-Founder. Join Convention of States.